Here's the thing about this taco zucchini quinoa casserole: You can make it without any meat at all and it will still be packed with protein thanks to quinoa. If you're a ravenous carnivore, stick to the recipe that follows and you'll be very, very happy. It takes browned ground beef and mixes it up with quinoa and zucchini for a meal that is actually super healthy. That deliciousness is thanks to the enchilada sauce that steps in as taco sauce and coats the entire dish with a bunch of yummy. Added into that sauce are things like black beans -- another great source of protein -- and tons of gooey cheese. It's so good it'll have you looking at quinoa -- and tacos -- in a whole new light! Heat olive oil in a large frying pan set over medium heat. When hot, add ground beef and fry until no pink remains, breaking the meat up as you do. Drain of excess grease. Place the ground beef into a large bowl. 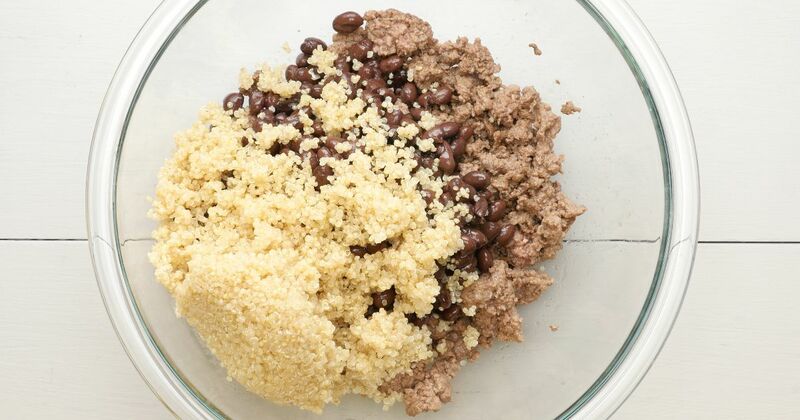 Add the black beans, quinoa, zucchini, cilantro and taco sauce, and mix well. Pour mixture into the prepared casserole dish. Sprinkle casserole with cheddar cheese. Place casserole in oven and bake for 30 to 40 minutes, until cheese is melted and casserole is hot and bubbly throughout. Remove casserole from oven and let sit for about 10 minutes. 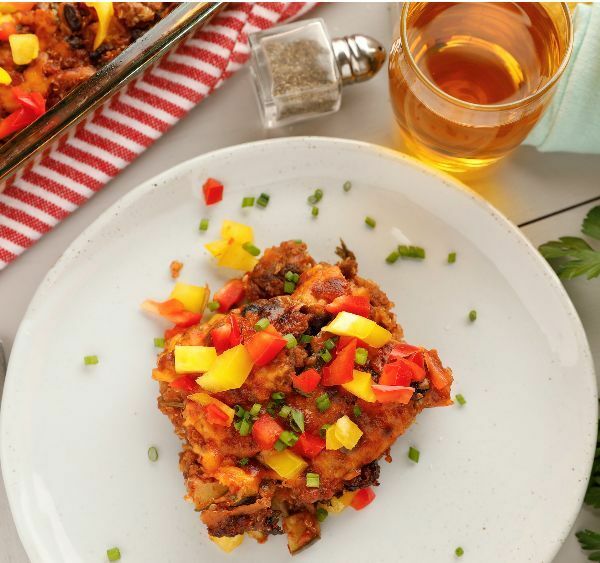 Garnish casserole with bell peppers and chives, if using.